Home / Mobiles / Where Does Mobile Theft Occur Most In The UK & How Do You Protect Yourself? Where Does Mobile Theft Occur Most In The UK & How Do You Protect Yourself? According to a mobile theft report by Crime Survey for Wales and England, about 446,000 people in the UK get their phones stolen within the course of one year. The report also indicated that young people between the ages of 18-25 are a favorite target for pickpockets and snatchers. 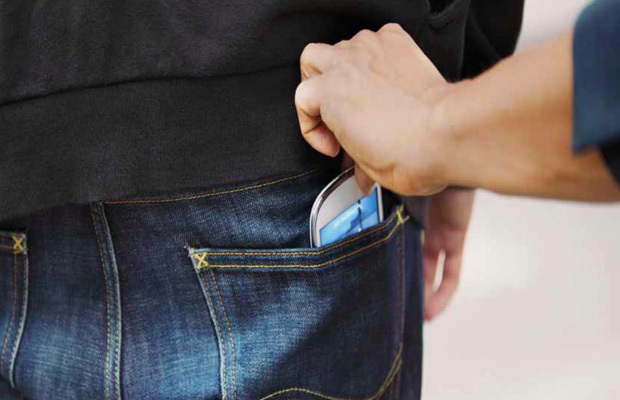 About 60 per cent of mobile theft was done by pickpockets and snatchers, 30 per cent by muggings, while 10 per cent was done when victims left their gadget unattended at public places. Below are 3 places where you are most likely to get your mobile phone stolen. Public Transport Facilities: If you are a regular user of public transport facilities like train and bus, then you are most likely to have your mobile phone stolen. These transport facilities are one of the hotspots where mobile theft is constantly rising. According to lost and found report by Mozy, 29 per cent of mobile losses in 2016 were recorded when commuting on public transport is involved especially in the morning when people are traveling to work. The report also indicates the days for mobile loss peak as being Monday, Friday, and Saturday. On The Streets: If you are out and about shopping or just walking down the street, then you are likely to have your mobile phone stolen. According to a mobile theft report by Protect Your Bubble, the top hotspots for mobile loss on the streets include Leeds which has 21 per cent of mobile loss claims, Philadelphia with 20 per cent, followed by Salford which has 15 per cent and London which has 10 per cent for mobile phone theft. Other cities with most street mobile theft cases include Manchester, Liverpool, Sunderland, Portsmouth, Cardiff, Wakefield, and Swansea. At A Carnival Or Crowded Public Places: A stolen smartphones survey done by Lookout Mobile reveals that 44% of mobile phones were stolen because owners were vulnerable in a public setting. According to the survey, 16% of these mobile phones were stolen in restaurants, 11% in nightclubs, and about 7% at carnivals. The victims either left their gadgets unattended or they got stolen off their pockets without their knowledge. Fully Cover Your Gadget With Mobile Phone Insurance: Mobile phone insurance is also an option to protect your gadget against theft. Before investing in the mobile cover, ensure you understand the terms and conditions provided by the policy cover. One advantage of covering your gadget is that you are also protected against accidental damage, wear protection, cracked screen, or even mechanical malfunction. Install A Phone Tracker: Various mobile phone apps facilitate the tracking of a gadget once you lose it. The apps utilize an inbuilt GPS feature in phones that relays its current location. This tracking technology is not infallible unless the device is turned off. If you have na iPhone you can use find my iPhone on iCloud. Back Up Your Mobile Data To The Cloud: To avoid losing important data and information during a mobile theft, ensure you backup your mobile data to a cloud. Various mobile manufacturers offer remote data saving repositories such as iCloud for iPhones, Google Drive for Android, and Microsoft OneDrive for Microsoft phones. Backing up data ensures you peace of mind in case of mobile theft since you can retrieve your data into another gadget.